On November 4, 2015, a search warrant was executed by the Galloway Township Police Department and the Atlantic County Prosecutor’s Office Guns, Gangs, and Narcotics Unit on Colonial Court in Galloway Township. The search warrant was in regards to a narcotics investigation. 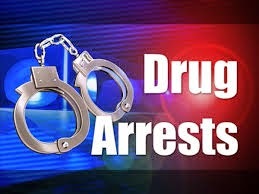 As a result of the search warrant, Linda Santelli, 54 of Galloway was charged with Distribution of a Controlled Dangerous Substance and Possession of a Controlled Dangerous Substance. Linda Santelli was posted $30,000.00 bail and was released.